The great Muhammad Ali’s quote of how the third war he had with the also great Joe Frazier was “close to death,” is well known, and it is of course undeniably true that the two legends gave their all in the unforgettable 1975 super-fight. But yet another great, in Evander Holyfield, at the beginning of his storied career, also experienced something akin to the sheer hell Ali (and Frazier) went through – in the summer of 1986, when he was a cruiserweight contender challenging for his first world title. Holyfield is best known for his incredible, odds-defying heavyweight glories, but the fight that was both his toughest and means the most to “The Real Deal” himself is his 15-round classic with Dwight Muhammad Qawi. Holyfield, inexperienced at the time of his challenge of the 33-year-old Qawi (Evander being the younger man by a full decade) pushed his mind and his body so severely he later admitted he felt like quitting the sport after the 15 rounds were over. Ali had his Thrilla in Manila with Frazier, while Holyfield and Qawi gave us the cruiserweight equivalent in Atlanta – only this battle went down to the wire, whereas Ali and Frazier were spared a final three minutes of torture thanks to the brave and caring act of Joe’s trainer and corner-man, Eddie Futch. Very kindly speaking with this writer, the former undisputed cruiserweight king and all-time great said he lists his first fight with Qawi (the two met again, in a very different rematch, in late 1987) as his finest night in the ring. 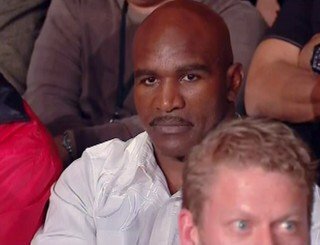 “I feel my greatest night in the ring was my [first] fight against Dwight Muhammad Qawi,” Holyfield said. Q: Yet in the rematch, you had a far easier time, when you knocked Qawi out in the fourth round? Q: Is it true you lost something like 12 pounds of weight through fluid loss in that great fight with Qawi? And did you even consider retirement because that fight was so gruelling and tough? Neither was Qawi. Nor has any other cruiserweight fighter, before or since.